One Hot Night: Spring Fever! 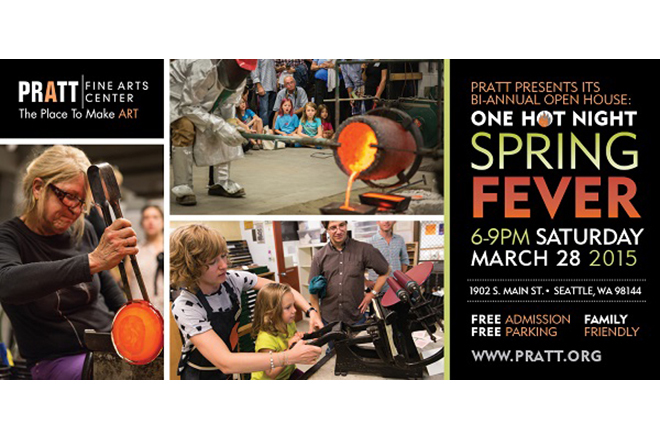 It’s that time of year again: PRATT’S BI-ANNUAL OPEN HOUSE! This is a family-friendly and fun event that is open to the public. The Open House is a great way to learn about Pratt’s unique programs and meet instructors, students, and staff. This year the Open House takes place alongside the Jackson Street Jazz Walk. Enjoy great live music on Jackson Street and a special trio in our Print/2D Studio! See you there!